Journal of General Management is quarterly peer reviewed journal, with a mission. The mission of the Journal of General Management is to provide thought leadership by publishing articles on managerial practices with organisation-wide or cross-functional implications. We seek original theoretical and practical insights into general management in all types of organisations. 3. To foster new thinking, research, and the exchange of experience between academics and policy-makers across the world. We consider papers that build or expand general management theory as well as research that tests theories. In particular, we invite papers dealing with current management debates and cutting-edge business solutions. The journal is open to research based in conventional as well as emerging quantitative and qualitative methodologies. Professors Keith MacMillan and Bernard Taylor founded the Journal of Business Policy - forebear to the Journal of General Management - in 1970. Their aim was to provide a focus for the study and research of the function and responsibilities of top management. The occasion for the journal's founding was an International Seminar on Teaching and Research in Business Policy held at the University of Bradford. Taylor and MacMillan also edited a book with the title Business Policy: Teaching and Research (New York: Wiley, 1973). In 1972 both men moved from Bradford University to Henley Management College (now the Henley Business School, University of Reading). Henley was known for its focus on General Management and, in order to broaden the Journal's appeal to practicing managers, the journal's name was changed from Business Policy to the Journal of General Management. The focus, which had begun with an exclusive emphasis on 'the function and responsibilities of top management', was broadened to include a wide range of topics pertinent to the pursuit of managerial excellence - the journal has catered to the modern manager's need to be knowledgeable in a wide range of fields, flexible and virtuosic so as to have the agility to switch easily between handling matters as diverse as strategy, reputation, finance, and HRM. The excellent general manager must, to borrow a metaphor from a JGM article (Remenyi, Grant, Pather, 2005), be able to change colours with the same ease as a chameleon alters its skin. JGM is therefore aimed at the practitioner or researcher who appreciates the importance of research with practical implications, global reach, and a broad vision of the general manager's complex role. · Identifying and building on business strengths and core competences. · Corporate Governance and Board Leadership at the top of the organisation, e.g. how non-executive directors create value. Henley Manager Update was founded by Professor Keith MacMillan in 1988, and was a quarterly guide for practitioner managers, business school teachers or researchers interested in keeping abreast of the research developments across key areas of management science. The journal ceased publication in 2008, though backfile remains available here http://journals.sagepub.com/home/hmx. To enquire about receiving books for review, please contact reviews@sagepub.co.uk. Journal of General Management is quarterly peer reviewed journal, with a mission to provide thought leadership by publishing articles on managerial practices with organisation-wide or cross-functional implications. We seek original theoretical and practical insights into general management in all types of organisations. Please read the guidelines below then visit the Journal’s submission site https://peerreview.sagepub.com/jogm to upload your manuscript. Please note that manuscripts not conforming to these guidelines may be returned. Only manuscripts of sufficient quality that meet the aims and scope of Journal of General Management will be reviewed. As part of the submission process you will be required to warrant that you are submitting your original work, that you have the rights in the work, and that you have obtained and can supply all necessary permissions for the reproduction of any copyright works not owned by you, that you are submitting the work for first publication in the Journal and that it is not being considered for publication elsewhere and has not already been published elsewhere. Please see our guidelines on prior publication and note that Journal of General Management may accept submissions of papers that have been posted on pre-print servers; please alert the Editorial Office when submitting (contact details are at the end of these guidelines) and include the DOI for the preprint in the designated field in the manuscript submission system. Authors should not post an updated version of their paper on the preprint server while it is being peer reviewed for possible publication in the journal. If the article is accepted for publication, the author may re-use their work according to the journal's author archiving policy. Before submitting your manuscript to Journal of General Management, please ensure you have read the Aims & Scope. Journal of General Management is a journal of cross-functional research. It publishes thoroughly-researched articles on all areas of management science. Quantitative, qualitative and conceptual papers are all accepted. The normal length of an article is 4,000 to 6,000 words, but both longer and shorter articles can be accepted. A synopsis of not more than 100 words must also be enclosed. Authors are expected to abide by ethical standards of academia: work must be original, not published elsewhere in the same format, and manuscripts must be fully referenced. 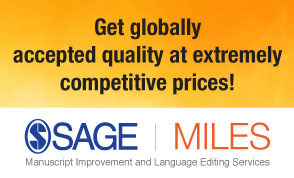 Only manuscripts written in English will be accepted. If relevant, authors must state clearly in what way their research has already been made public. Authors are responsible for ensuring that their work meets scholarly standards of referencing, and that full acknowledgement is given to sources. The Journal of General Management adheres to a double-blind peer review policy. For the administration of the double-blind peer review, articles need to provide details of all contributing authors in such a way as to allow these details to be removed and placed in a separate file. Authors submitting PDFs of their research should therefore include their biographical details in a separate PDF file to the manuscript file. Journal of General Management and SAGE take issues of copyright infringement, plagiarism or other breaches of best practice in publication very seriously. We seek to protect the rights of our authors and we always investigate claims of plagiarism or misuse of published articles. Equally, we seek to protect the reputation of the journal against malpractice. Submitted articles may be checked with duplication-checking software. Where an article, for example, is found to have plagiarised other work or included third-party copyright material without permission or with insufficient acknowledgement, or where the authorship of the article is contested, we reserve the right to take action including, but not limited to: publishing an erratum or corrigendum (correction); retracting the article; taking up the matter with the head of department or dean of the author's institution and/or relevant academic bodies or societies; or taking appropriate legal action. Journal of General Management offers optional open access publishing via the SAGE Choice programme. For more information please visit the SAGE Choice website. For information on funding body compliance, and depositing your article in repositories, please visit SAGE Publishing Policies on our Journal Author Gateway. Journal of General Management adheres to the SAGE Harvard reference style. View the SAGE Harvard guidelines to ensure your manuscript conforms to this reference style. Journal of General Management is hosted on SAGE Track, a web based online submission and peer review system powered by ScholarOne™ Manuscripts. Visit https://peerreview.sagepub.com/jogm to login and submit your article online.